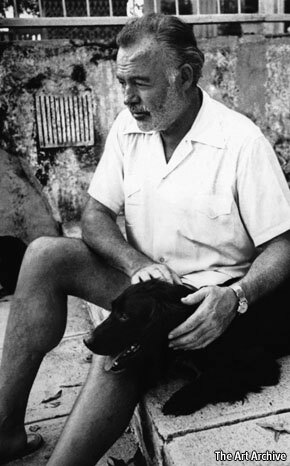 PAUL HENDRICKSON’S bibliography lists 76 biographical works about Ernest Hemingway, nine of them by wives, siblings and children, followed by memoirists, respected biographers and hangers on, pretenders and doctoral students. “Scholarly forests have been clear-cut in the service of explaining his so-called fetishes,” he writes. That does not mean there is nothing new to say on the subject, but Mr Hendrickson, a former journalist and American author of non-fiction, intends to tell it differently: “I want it to be less of a biography than an interpretation, an evocation, with other lives streaming in.” Having picked his way through this thick undergrowth of biographical criticism and research, he believes that by focusing on Pilar, the 38-foot cabin cruiser Hemingway purchased in New York in 1934 for $7,495, he has found a fresh way of telling a familiar story.